The cryptocurrency boom continues and, in spite of some short-term declines, the potential of cryptocurrencies is huge. “What does the term cryptocurrency mean?”, “How to trade cryptocurrencies?” These are some of the questions that will be answered on this page. So, stay with us! The change cryptocurrencies brought to the world of finance – and the world in general – is hard to underestimate. Not yet observed by most people, the possibilities are indeed numerous and captivating. Finally, people all over the world will get an opportunity to transfer their funds almost instantly, securely and directly. 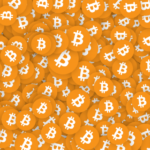 There are hundreds of cryptocurrencies (some resources talk about thousands). Plenty of cryptocurrencies work on a similar principle as bitcoin, while some other are completely different. 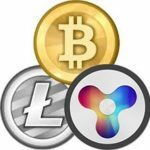 Below you can read short info articles about the four biggest and perhaps most popular types of cryptocurrencies. The best known is bitcoin; the rest is called alts. Launched in 2009, Bitcoin became the first publicly traded cryptocurrency and marked the beginning of a new era in the development of the global financial system. Bitcoin constitutes approximately 55% of the total cryptocurrency market capitalization and is currently the most expensive cryptocurrency. The number of bitcoins is hardware-limited to 21 million and it’s the most trusted cryptocurrency among all. The creator of Bitcoin is considered to be Satoshi Nakamoto, but no one has ever seen him. Ethereum is the second most popular cryptocurrency after bitcoin, which is a great success considering the pioneering status of BTC. It is worth more than 50% of all bitcoins in the world. 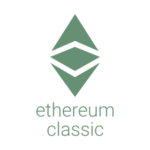 The distinctive feature of Ethereum is the smart contract functionality. It helps provide additional security and reduce transaction costs. Stored in the Ethereum blockchain, smart contracts are the exchange mechanisms that can carry out the direct transaction of value between untrusted agents. 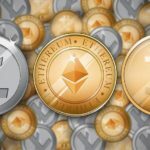 This technology is one of the reasons behind Ethereum’s success. Ethereum is well-known for volatility spikes. On 24 June 2017, the currency briefly crashed from $319 to 10 cents only to rebound later that day. Litecoin is one of the alternative cryptocurrencies, created after the initial triumph of bitcoin. You can think of Litecoin as bitcoin on steroids. The main difference between two cryptocurrencies is that Litecoin can confirm transactions much faster. Litecoin is not controlled by any central authority, has almost zero payment cost and carries out transactions at four times the speed of bitcoin! Ripple is a company, providing global financial solutions. It was a logical step for them to launch their own cryptocurrency. According to its creators, Ripple is the world’s fastest and most scalable digital asset. It can boast almost immediate transactions, ability to process 1 000 deals per second (66 times more than Ethereum) and unmatched stability. Ripple is currently the world’s third-largest cryptocurrency by market cap. To be honest, there is more than one purpose or reason for the existence of cryptocurrencies. You know them from your daily life, for example, sending money abroad, which is expensive and slow. Sometimes even a transaction from a bank account to a bank account within one country takes a few days. Further issues are transparency and safety. In the traditional bank wire transfer, you never know what is happening to your money at a certain point. Also, you are disclosing numerous personal details. With cryptocurrencies, the above problems don’t exist. All transfers are quick including payments to faraway countries and you don’t have to disclose any personal data. If you want to avoid bureaucracy or feel safe you can use cryptocurrencies. Cryptocurrencies are available at exchanges, either online or through special ATMs spread all over the globe. For example, bitcoin ATMs are installed in many major cities across the world. TIP: If you want to learn more about bitcoin read the following article on our website: Bitcoin? What is it? Why such a sky-rocketing rise? Can one make money on bitcoin? Of course, the functionality depends on a particular cryptocurrency. It usually involves an elaborate system which integrates the users or user groups. As far as bitcoin is concerned, the system is based on miners. Users providing their hardware (PC) to verify payments receiving for each validated transaction a small amount of bitcoins were the core element in the past. Nowadays, this role is played by large computer centers. 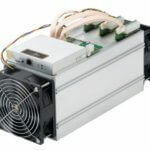 With capacity demands growing day by day it would be too difficult for a small user to pay the electricity costs for the running of all the hardware. The system rewards the miner in the form of bitcoins which results in the continuous growth of the quantity of bitcoins. You can set a limit on the number of bitcoins in circulation and charge all transactions exceeding the limit. (Bitcoin is already introducing such a system but the transaction costs are still too low). Investing in cryptocurrencies requires knowing the conditions and the system. However, if you invest in the most popular ones there is hardly any danger to be afraid of. 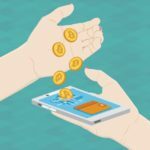 You can be a traditional user who exchanges money, for a particular cryptocurrency at a certain rate in the same manner as when exchanging dollars vs. euro or pounds for a holiday trip abroad. Alternatively, you can use cryptocurrencies as a means of speculation in absolutely the same way as Forex. Forex trading is about the trading of foreign currencies, and cryptocurrencies are in principle the same as foreign currencies. Except that they are not backed by any state authority but a network of its users and software. Cryptocurrencies require trust from the users. What helps them is the distrust in the traditional currencies such as the US dollar, British pound, euro etc.. 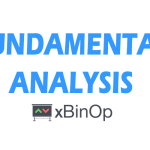 When trading cryptocurrencies you can make use of both types of analyses, technical and fundamental. If you find cryptocurrencies appealing enough you can try out some of your trading strategies. From the trader’s point of view, cryptocurrencies are the same as other currencies (Be it the US dollar or Japanese yen, cryptocurrencies have the same specific features, which is nothing unusual in Forex). The market value of all cryptocurrencies has recently reached the $200 billion point. It is now obvious that cryptocurrencies are not merely a hobby of IT geeks and a shady payment medium for illegal Internet goods. In a matter of years, cryptocurrencies can become an alternative to fiat money in all spheres of human activity. Cryptocurrencies can be bought at several exchanges. Since not all of the exchanges are legitimate one should be cautious and use only those with a license as you choose brokers for Forex or binary options trading. 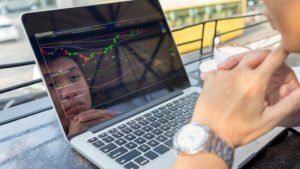 Cryptocurrencies in 2018: Buy or Sell? Long or Short? Monero Cryptocurrency – Does it tackle anonymity? 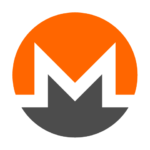 At its official website Monero, is presented as a secure, private and untraceable cryptocurrency. Monero uses a special type of cryptography to keep all transactions 100% untraceable and hence, anonymous…. 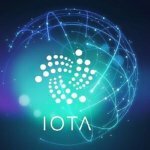 IOTA, a popular cryptocurrency: Will the growth sustain? 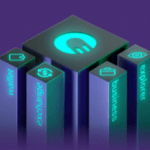 OTN, a cryptocurrency that may change the world. How to get it?